New book, 92 pages, approximately 300 photographs. This In the Field book looks at the Fennek family that serves in both the German and Dutch armies today. 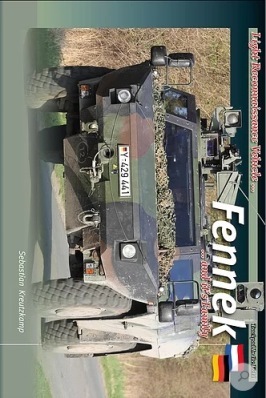 Fennek is not just a Reconnaissance Vehicle. You will be surprised at the number of additional variants - Joint Fire Support, General Service, Mortar Carriers, Anti-tank and Anti-aircraft. We follow Fennek on exercise, carrying out different types of tasks in the field, in troop hides in the woods, live firing, and in the desert. This item was added to our catalog on Wednesday 10 April, 2019.